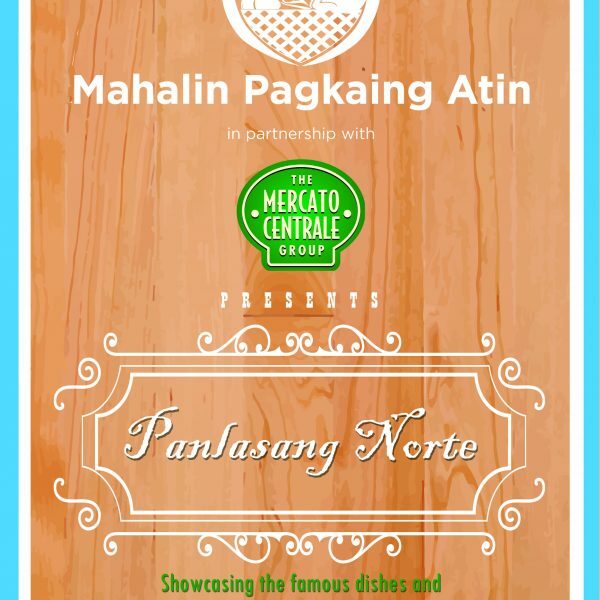 Last February 13, 2013, Ash Wednesday, I was invited for a food tasting event in Namnam, Ground floor, Greenbelt 2, Makati City. Namnam is a new Filipino restaurant around the metro. 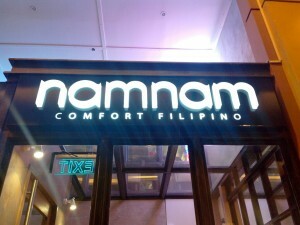 If you are craving for Filipino food, then Namnam is a must visit. It’s just beside the Burger Bar, which is owned by the same people, as well as Cue Modern Barbeque in High Street Central Bonifacio Global City, Taguig. This is one of the best Filipino food restaurants around the metro. It’s in the middle of fine dining and a fast food. The taste of the food was superb. I can taste it, considering the fact that I just came in a food event before Namnam. I am not a cook, so I don’t know if it’s preservatives or what that made the food taste good, but all I can say is that it tastes good, considering that you are eating in a commercial place. Some times, we crave for “lutong bahay” (home cooked) food, but if you can’t get it, you can consider trying Namnam, experience the taste of Filipino food, just one level up higher. You can order in small, medium or large sizes of meal, so if you are alone, in a group, or in the middle, you can choose a meal that’s just what you need. Say goodbye to left overs or “bitin” (not enough) food. Their beverage is wow, just wow. I ordered Ube sago, and I was overly satisfied with the drink. It’s like drinking an ice cream! Yummy! I tried my co-blogger’s drinks as well, and they were all pretty yummy to me. 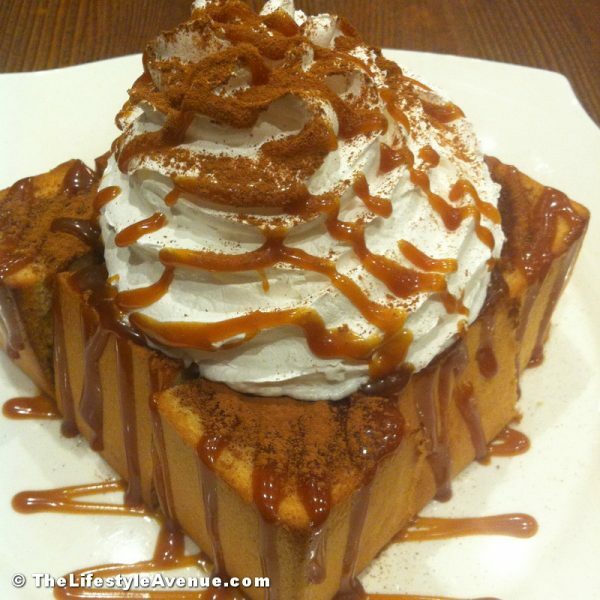 Honestly, I think it’s pretty much expensive, but if you are a foodie, Namnam is still a must try. I’m not that rich, and I have a family, so budget is always tight for me. It’s not highly expensive though, but just an idea, most of the drinks are above 100 bucks, and for me, it’s not wise to spend that much in drinks. The ambiance is pretty awesome. I love their design. They wall designs were pretty awesome as well. Too bad I lost some of the pictures that I took during the event, so I can’t share you that much how awesome is Namnam’s ambiance. The service was also pretty awesome, from time to time, some of the crew approaches us, asking us how are we doing and how’s the food, etc. Namnam did a great job in hiring those crews. Over all, I am pretty much satisfied with Namnam. I love the food, service, and the ambiance. Except the price though. View the other pictures during the event here. next article: A New Bar Menu in T.G.I. Friday’s This Summer!